In the 2019 New York Statewide Preservation Conference panel session, “Letchworth Gateway Villages: Leveraging heritage assets to fuel economic growth,” speakers will discuss how regional approaches to creative placemaking and destination partnership development are helping to transform one rural area’s preservation investments into new economic possibilities. LGV Director Nicole Manapol credits the region’s historic main street districts and natural assets like the Genesee River Valley, Letchworth State Park and the Genesee Valley Greenway as being catalysts for the LGV initiative. With over 700,000 visitors to the Letchworth region each year, its surrounding communities are met with the opportunity to promote their proximity to the Park and their natural assets as interest in food tourism, sustainability and off-the-beaten track experiences continues to grow, according to LGV’s website. In response, LGV launched Western New York’s first Geotourism Map Guide Project in April 2018 for the municipalities surrounding Letchworth State Park. This project allows participating municipalities to develop a regional brand and interactive digital Map Guide to highlight their unique assets, businesses and history. 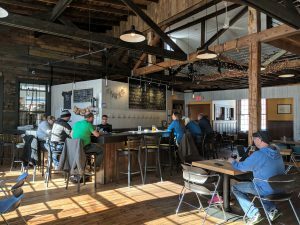 The organization works to build a sustainable economy of diverse, place-based businesses and a resilient workforce equipped with entrepreneurial and technological skills to continually service, grow and adapt the local economy, Manapol said. LGV has joined forces with a range of partners to help businesses improve their visibility online and to mobilize community members to utilize consumer review sites and other social media that will help to drive visibility for the region’s local businesses and attractions. 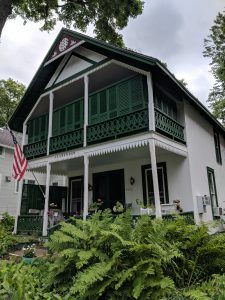 Although the Letchworth region is unique for its natural heritage assets, Manapol believes that the preservation of historic architecture, land and monuments is an important entry point for nearly all communities to identify what is meaningful and distinctive about their identity. This Conference session will take place on Friday, April 26th from 9:45AM to 11:00AM at the newly rehabbed and preservation award-winning Sibley Square in Rochester, New York. To learn more about Letchworth Gateway Villages.